Consider this space your one-stop source for inspiring global decor ideas. 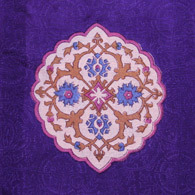 Here you will find creative suggestions to help you to make your home a reflection of your unique style. 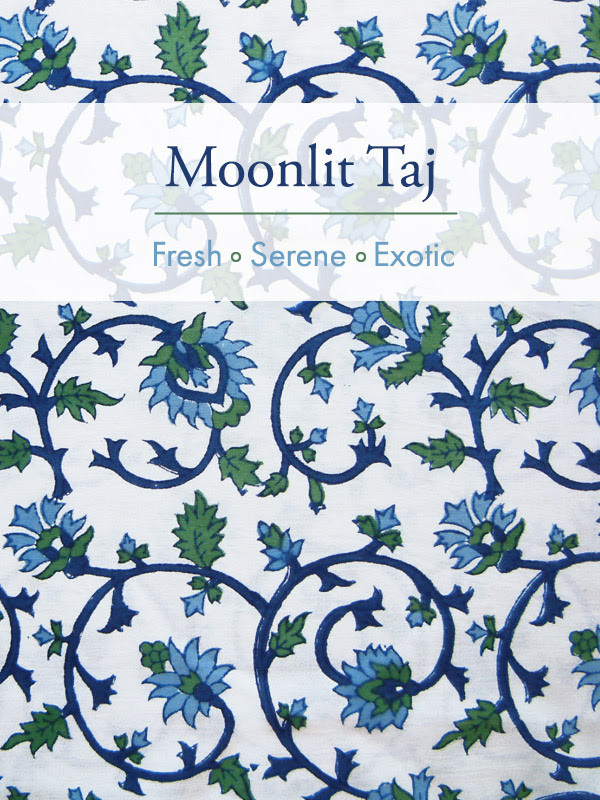 Moonlit TajRefreshing and serene blue, white, and green florals cover this exotic fabric inspired by Taj Mahal gardens! 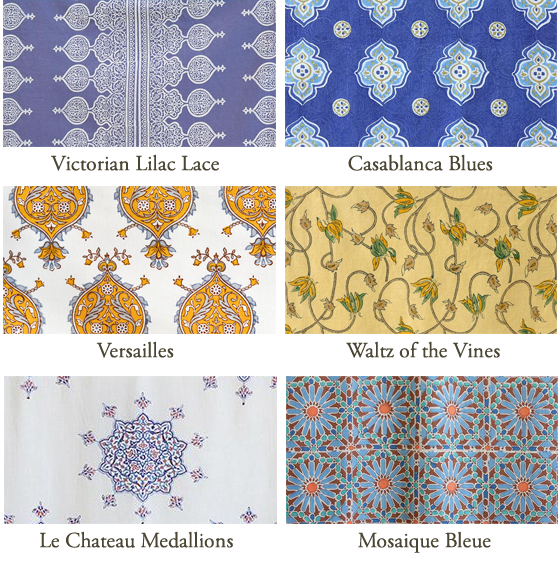 Find prints you’ll love for the kitchen, living room, dining room, and bedroom.Add Bright Beauty to Your Kitchen with Blue and White CurtainsMost of us spend a good amount of time in the kitchen – the heart of the home. Orange Blossom in Every Room! 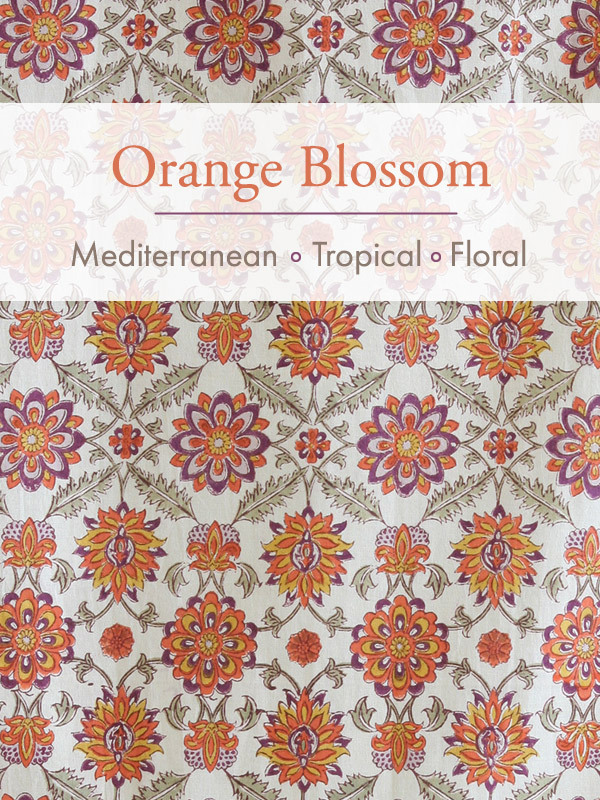 Orange BlossomA lush print that weaves Persian, Mediterranean and tropical inspirations, Orange Blossom distills the very essence of summer. Find prints for the kitchen, living room, dining room, bath, and bed.Invite Summer Sweetness to Your Kitchen! In an era where, for many, travel and experiences trump big homes and physical belongings, and handmade products with a story behind them are more appealing than mass-produced pieces lacking individuality, boho home décor fits right in.Laidback, yet distinctive in its appearance, boho décor is eclectic, heavily reliant on patterns and textures, and makes full use of accessories. 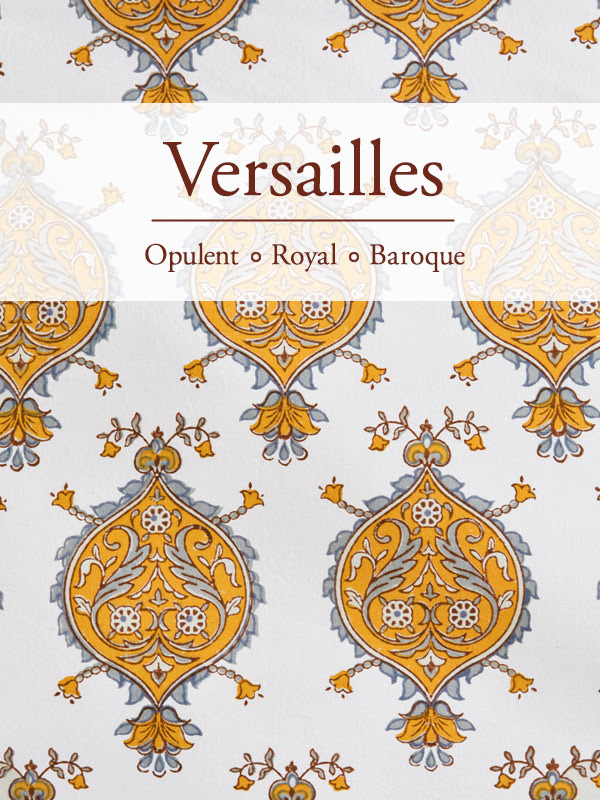 Versailles Imagine yourself sipping coffee at the window of an enchanting Île-de-France apartment. Outside, glamorous crowds walk the gardens of Versailles. Inside, you are surrounded by opulence: curtains embellished with fleur de lis and ornate medallions, brilliant yellow and gray bedding, pillows of every size rounding out the warmth of this lavish space. 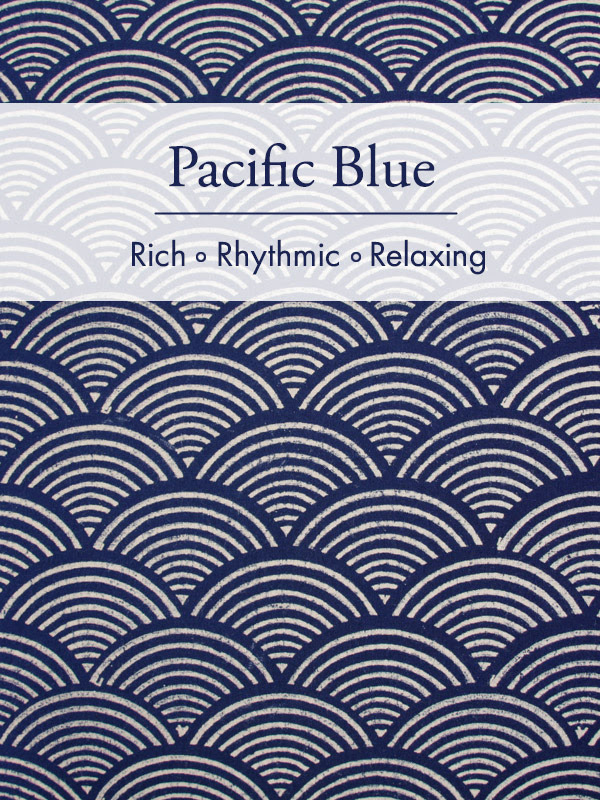 Pacific BlueA chance encounter with a friend, an accidental brush with centuries old Japanese pottery and an attempt to channel a relaxed coastal lifestyle – all these inspired Anisha to create this magnificent print. Say hello to Pacific Blue… Find ideas for the dining room, living room, bedroom, and bath, as well as prints that mix and match. 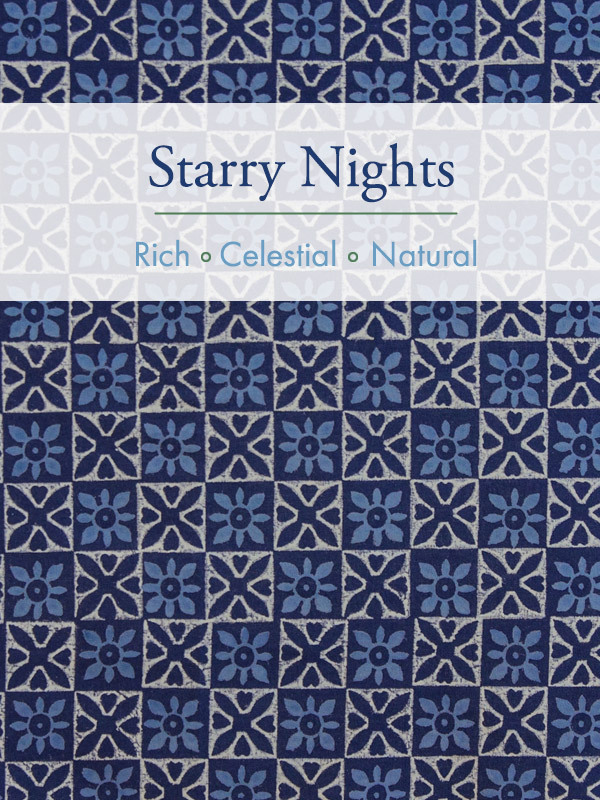 Starry NightsIf you’ve long loved to stare up at the night time sky and wonder what’s out there, or if you love nights “down here” under sweet starlight, you’ll love introducing our star studded, hand printed indigo print to your home.